Download and install latest ASUS X555QA-DH12 drivers for Windows 10 64 Bit to get your laptop operate properly. 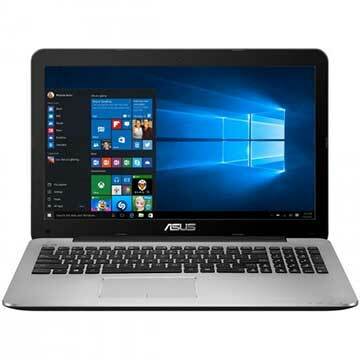 As described at Asus official site, ASUS X555QA-DH12 is 15.6 inch laptop powered by 2.5 GHz AMD Quad Core A12-9700P quad-core processor with AMD Radeon R7 Graphics video card. This ASUS X555QA notebook PC comes with 8 GB DDR4 2133MHz SDRAM system memory and 1TB 5400RPM SATA HDD hard drive to store your documents. This mobile computer features 802.11b/g/n Wi-Fi, Bluetooth V4.0, multi-format card reader (SD/SDXC/SDHC) slot, VGA web camera, HDMI port, chicklet keyboard, Super-Multi DVD optical drive, 2 W stereo speakers with ASUS SonicMaster Technology, and 2-cell 37WHrs Li-ion battery with up to 10 Hours of battery life for web browsing. These ASUS X555QA drivers are also compatible for these models : ASUS X555QA-DH12, X555QA-BH12-CB, X555QA-DM201T, X555QA-BX101T, X555QA-DM209T, X555QA-BB10, and X555QA-CBA12A.